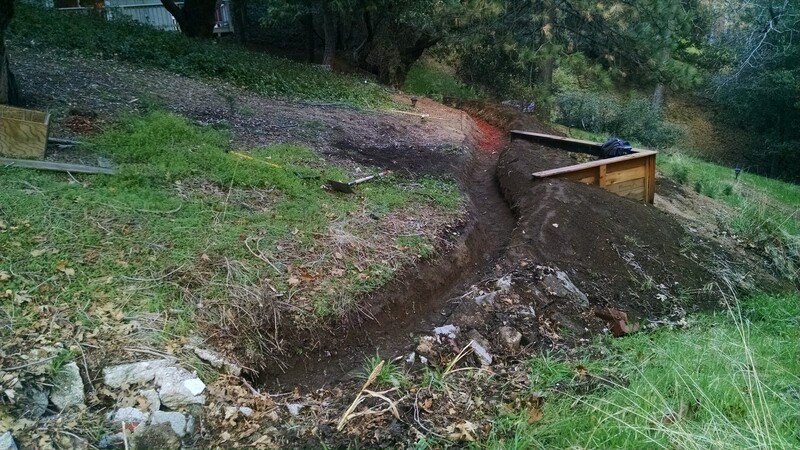 For anyone not familiar with berm and swales, this a permaculture strategy for sloped land, they are essentially ditches built on contour used to collect and store rainwater in the ground instead of letting it run downhill. 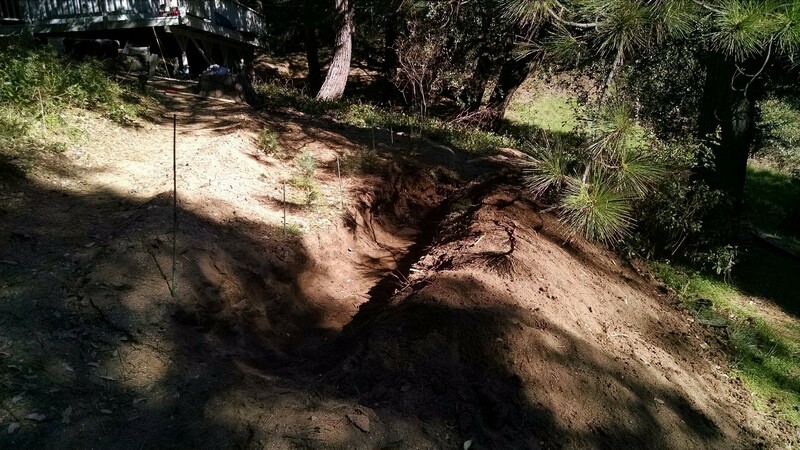 The earth dug from the ditch is placed directly downhill to create the berm. 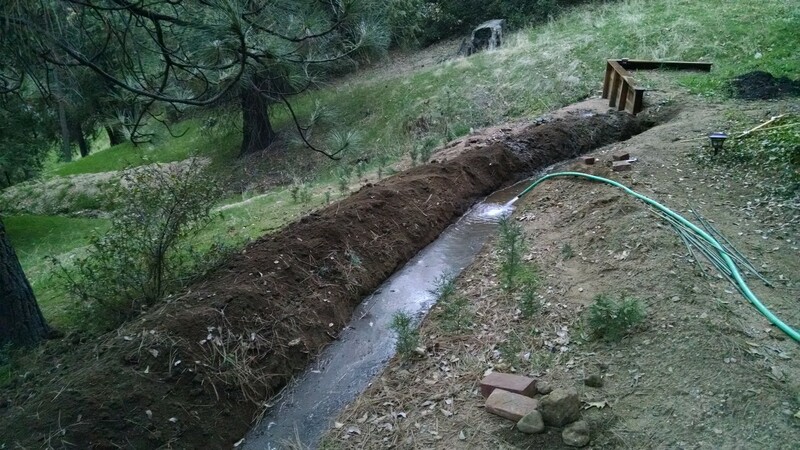 The first thing I did was use an A-frame level I built to stake out the boundaries of the swale, it needs to be level across so that the water doesnlt all travel to one area. 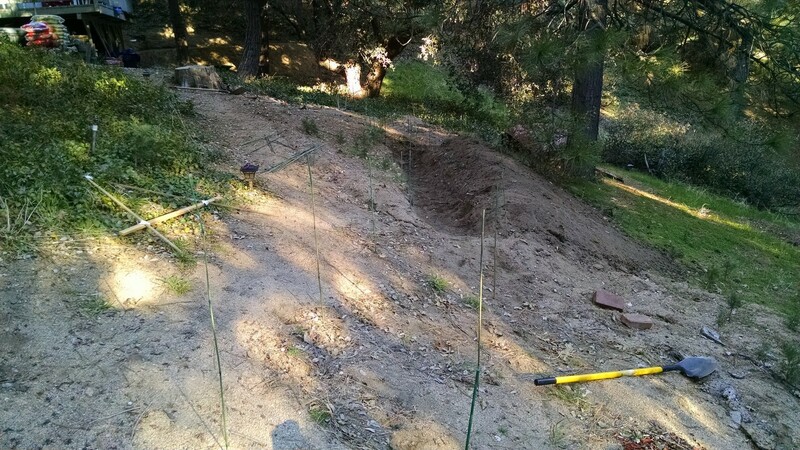 Something I did here is due to the extreme gopher problem we have up here in the mountains, before I started digging I rolled some gopher/poultry wire down on the ground underneath where the berm would be. This was very quick, invisible and will help protect my crops from the critters. 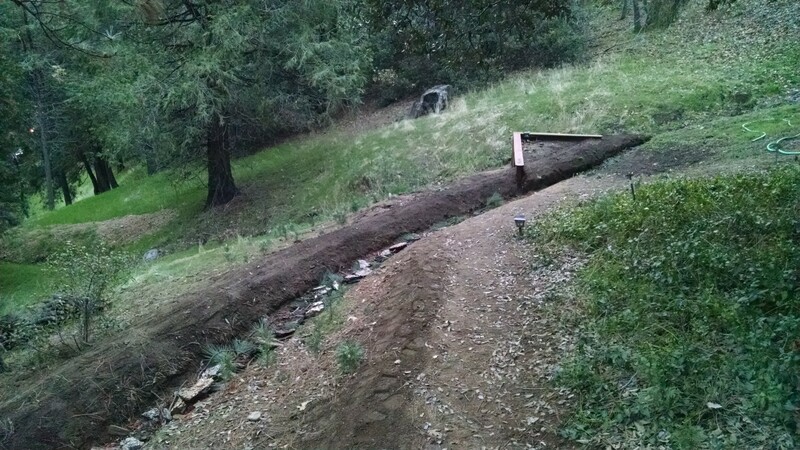 On the property there is a rain runoff on the west side that gets pretty crazy after a rain, definitely a resource to take advantage of. 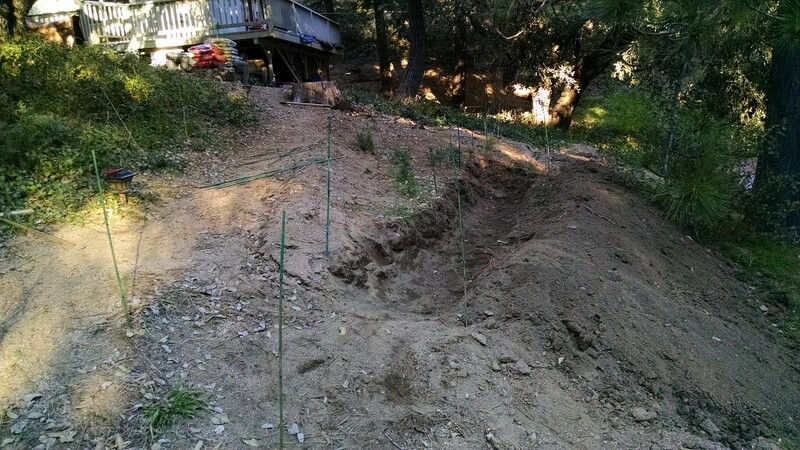 I dug the swale so that it intersects with the runoff, there is a slight decline near the runoff so that the water will be captured and diverted into the main swale area where it will be soaked up. 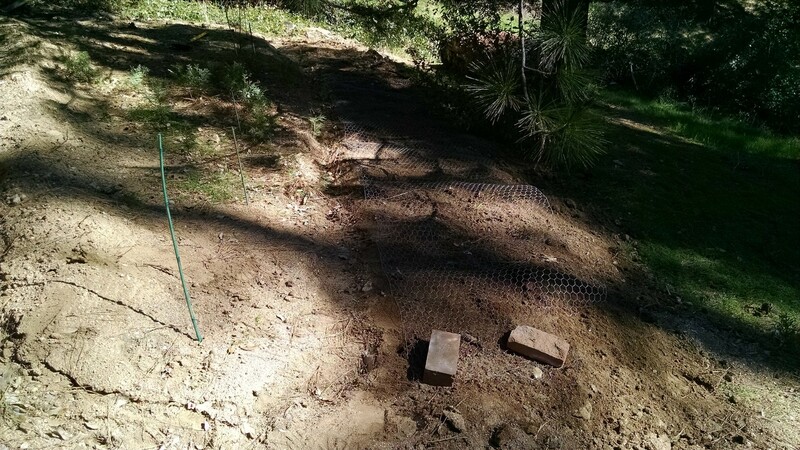 A couple final touches- I placed some smaller mulch all over the base of the swale to inhibit evaporation and act like a sponge to release the water slower into the ground. 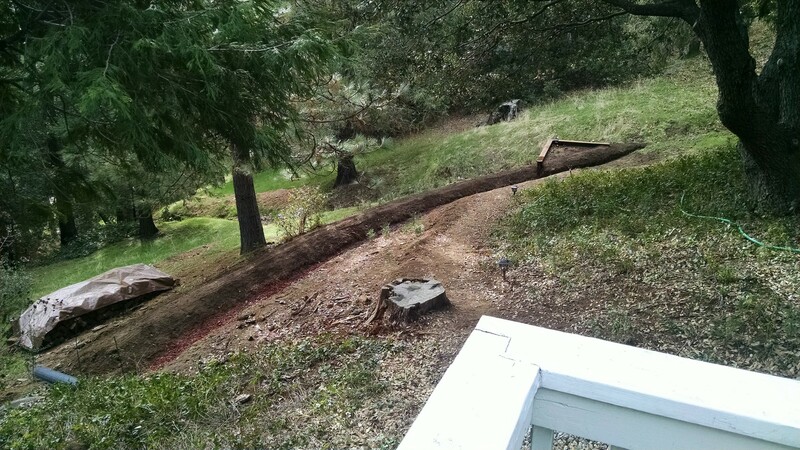 To top it off I placed some larger branch pieces and bark I got from trimming the nearby pine to keep the finer mulch from moving around and add to the water storing capability. On top of the berm I’ve mixed in several bags of composted steer manure and I’ve seeded with a dutch white clover/ alfalfa seed mix. 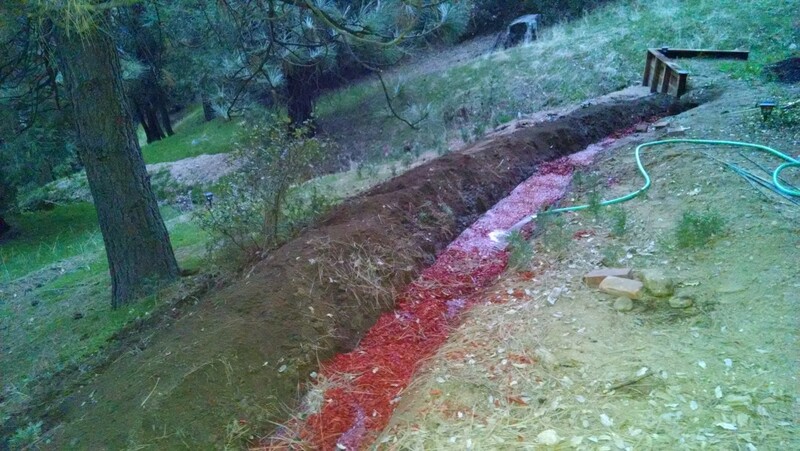 This will act as a living mulch and improve the soil through nitrogen fixation. 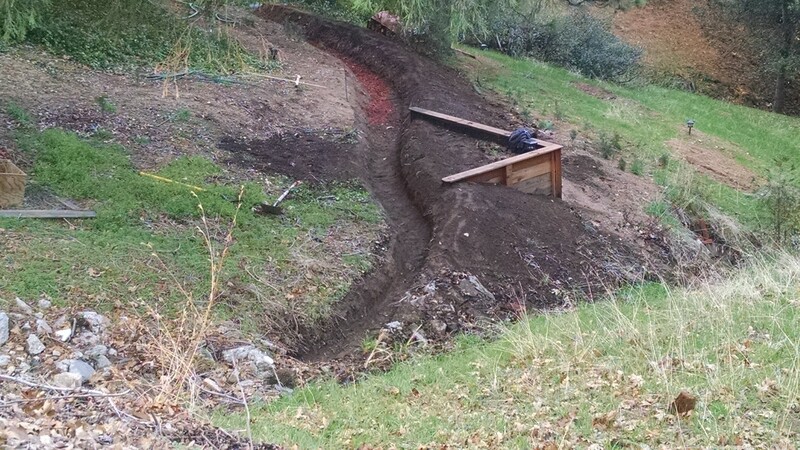 Before summer I plan to sheet mulch the entire top of the berm to really help to keep the water in the soil. 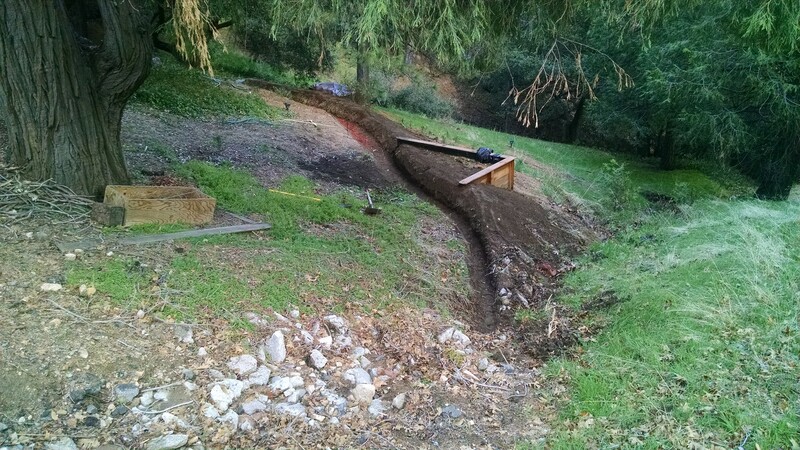 Finally you can see in the pictures where I used a hose to test the initial slope and the level of the main swale area. 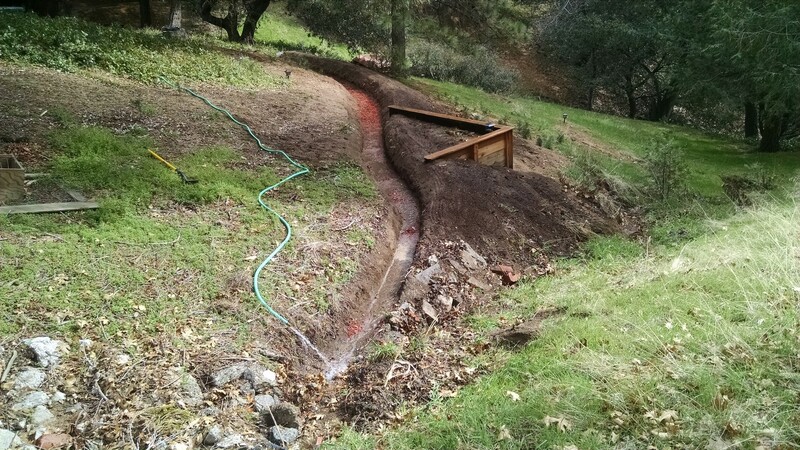 Can’t wait to start planting here! Hello all fans of permaculture, survivalism and sustainable living!